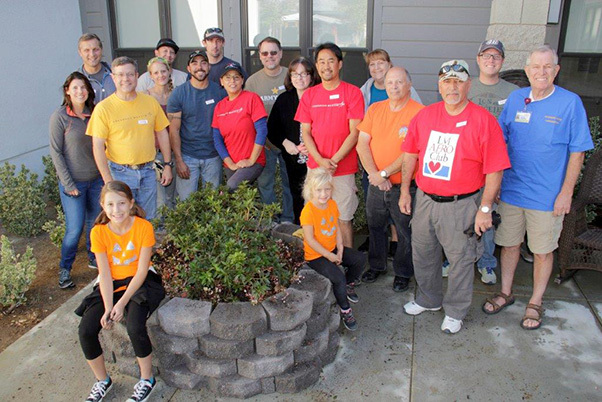 Happy planters: Norm Andrews, (far right) Administrator for the William J. Pete Knight Veterans Home, pose with Lockheed Martin employees who built two flower gardens when they heard that resident’s walkers were getting hung up in holes where trees once stood. From left: Kristy Johnson, Mike Glass (JSF ITF Site Director), Ray Borough, Kristen Giesler, Brandon Giesler, Peter Sterling, Matt Shaw, Delia Rivas, Todd Ankeny, Linda Hadden, Jimmy Ugalde, Paula Loehrer, Bill Simone, Ray Montes, Brandon Coats. Seated: Averi and Addison Coats. 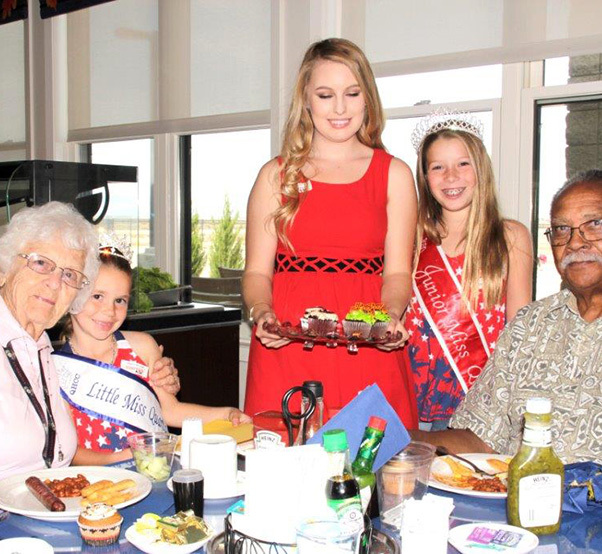 When it comes to honoring those who help keep America free, the Antelope Valley community is one of the most generous- just ask any resident at the William J. Pete Knight Veterans Home in Lancaster, Calif. Darling equates living at the home with living on a cruise ship, “except our ship never leaves the port!” Serving in the Marine Corps as an air wing mechanic in 1945, she said she also enjoys going out into the community. “There are a lot of old people here, so I like to get out once in a while,” she adds with a chuckle. Pitching in. 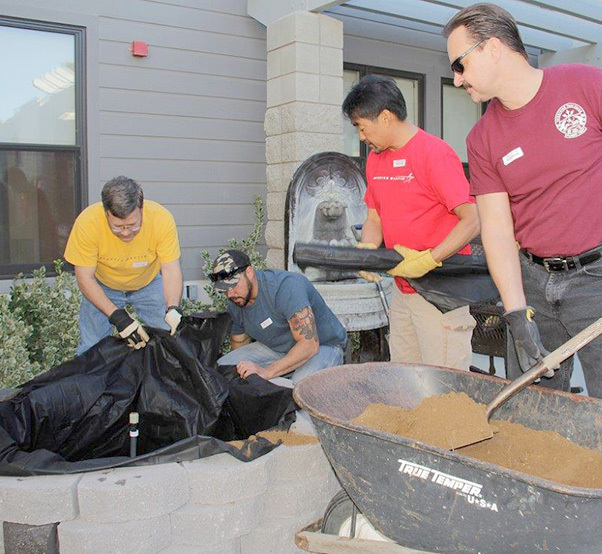 Lockheed Martin employees Ray Borough, Pete Sterling, Jimmy Ugalde and Tom Konkle help build planters at the William J. Pete Knight Veterans Home. Building more than world class fighters, when Lockheed Martin employees heard that resident’s walkers were getting stuck in holes where trees once stood, they didn’t simply cover the holes, they came up with a plan and built two flower gardens. “When we heard of the problem, we wanted to help,” explained Mike Glass, F-35 Joint Strike Fighter ITF site director at Edwards AFB. “It is a fun way to give back to our veterans and show our support.” As part of their community out-reach program, Glass said he couldn’t think of a better place to make a difference. Activities at the home include meditation classes, Tai Chi, Bible study, poker and beer, car shows, movie night, barbecues with folks from Edwards, visits from local schools, outings to Disney Land and camping in Sequoia National forest. 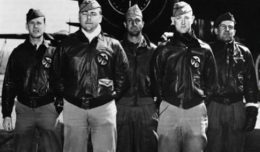 TSgt. Yvette Cabadas and MSgt. 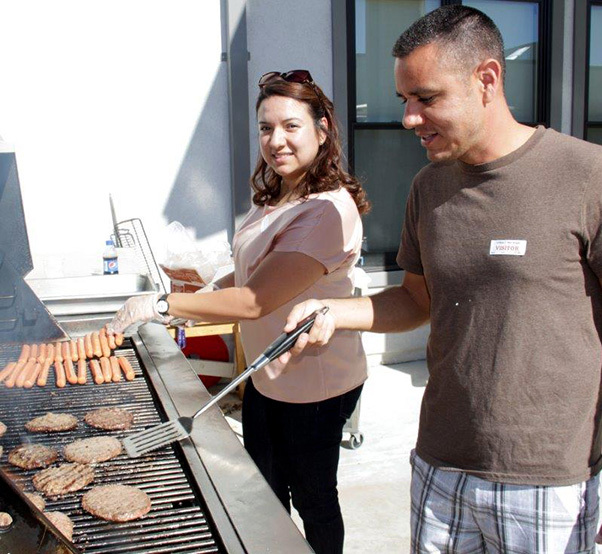 Vincent Villanueva from the 31st EES Global Hawk at Edwards AFB flip burgers and hot dogs for residents at the William J. Pete Knight Veterans Home. 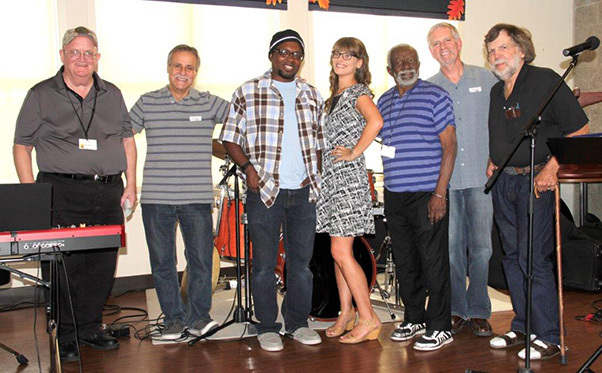 Desert Vineyard Christian Fellowship Jazz Band musicians Paul Lopiccolo, Aaron Jones, January Squires and Peter Trono play for residents at the William J. Pete Knight Veterans Home. 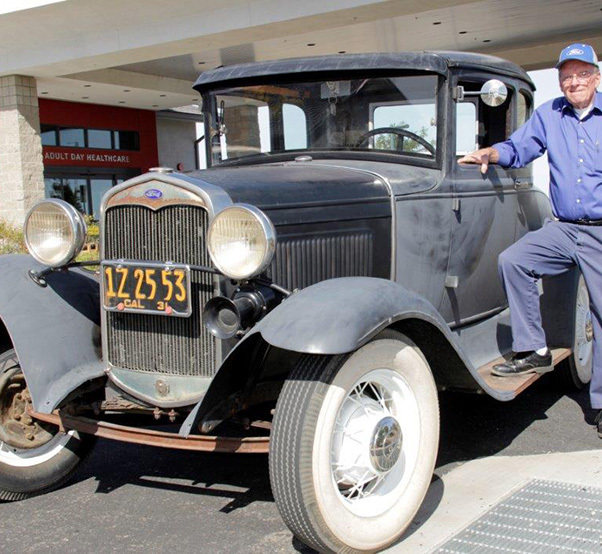 A member of the Antique Car Club of America, Air Force veteran Bob Teller served as a mechanic on the B-47, SR-71 and U-2, and enjoys sharing his ‘31 Ford Coupe with residents, because they can tell him adventures they had “back in the day” in cars such as his. Velora Darling and Jessie Mason receive cards made by first graders of Mrs. Howell’s class from Greg Anderson School and cupcakes from community queens, Olivia Bennett, Avalon Scott and Faith Emard.